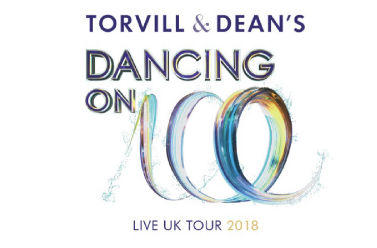 Dancing on Ice fans will be delighted to learn that more contestants from the hit ITV series will be joining skating legends Jayne Torvill & Christopher Dean on the 2018 UK tour. Kem Cetinay, Alex Beresford and two-time Dancing on Ice champion Ray Quinn will join the celebrity line-up for the live ice spectacular which starts next month, alongside TV series favourites Jake Quickenden, Cheryl Baker, Max Evans and Guest Judge, Denise Van Outen. More celebrities will be announced soon. The Dancing on Ice UK tour will open at The SSE Arena, Wembley on 23 March for the first of 27 shows. It will then visit some of the biggest entertainment venues across the UK, including Sheffield’s FlyDSA Arena, Newcastle’s Metro Radio Arena, Manchester Arena, the SSE Hydro in Glasgow and a Torvill & Dean homecoming at Nottingham’s Motorpoint Arena. The tour culminates at the Arena Birmingham on 15 April.